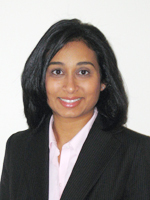 Dr. Trivedi-Purohit received her Master of Arts from Loyola University. She earned her Doctor of Psychology from Illinois School of Professional Psychology- Chicago. She completed an internship at Oak Forest Hospital of Cook County Bureau of Health and a Fellowship in Psychosocial Oncology at Loyola University Medical Center, Cardinal Bernardin Cancer Center. Other training sites include Ruth M. Rothstein Core Center of Cook County Bureau of Health, Diamond Headache Clinic and Lake County Health Department.